"ooooOOOOooOOoOOooo!" the little dachshund exclaimed. 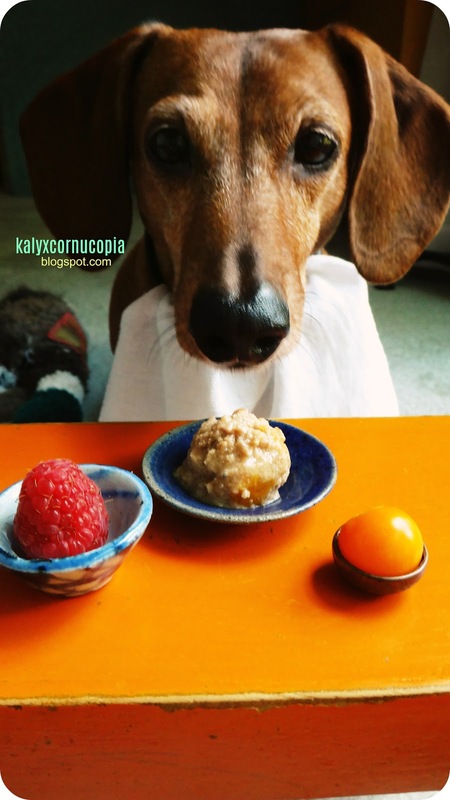 The little dachshund had lived with his loving family long enough to know that any time he was asked to put a napkin in his collar and wait by his little orange table, tiny lunch - and therefore something tummylicious - was always about to be served. But the sight before him exceeded any expectations he and his bottomless tummy could have ever imagined. "look, duk duk, everything is round!" The little dachshund eagerly sniffed at the delicious treats. "yippee, cherry tomato! and raspberry! 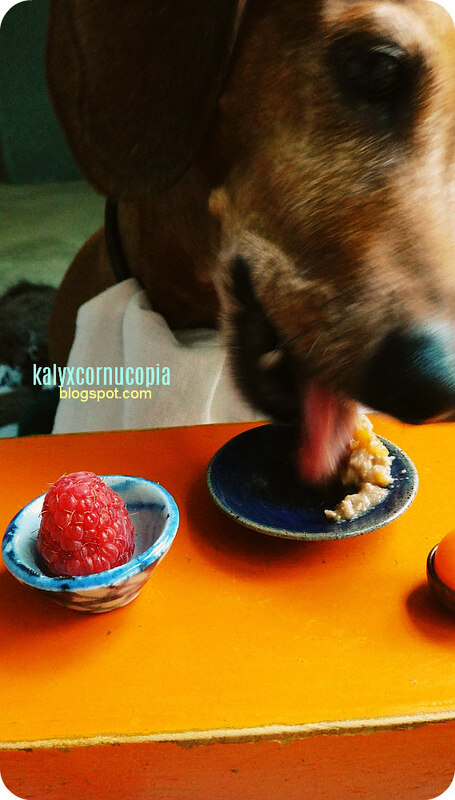 and..." He nose wiggled wildly, sniffing at the last, curious dish. "hmmm, meatball? made of...chick- no wait, not chicken...no, not turkey exactly...maybe it's a combination of..o i know! turduck-" Glancing quickly at his best toyfriend beside him and fighting back the urges of his inner wolf, the little dachshund stopped himself just in time. "i smell turds and ucken! boy, it is a shame mom said u r allergic to ucken, duk duk, otherwise u could totally have some."